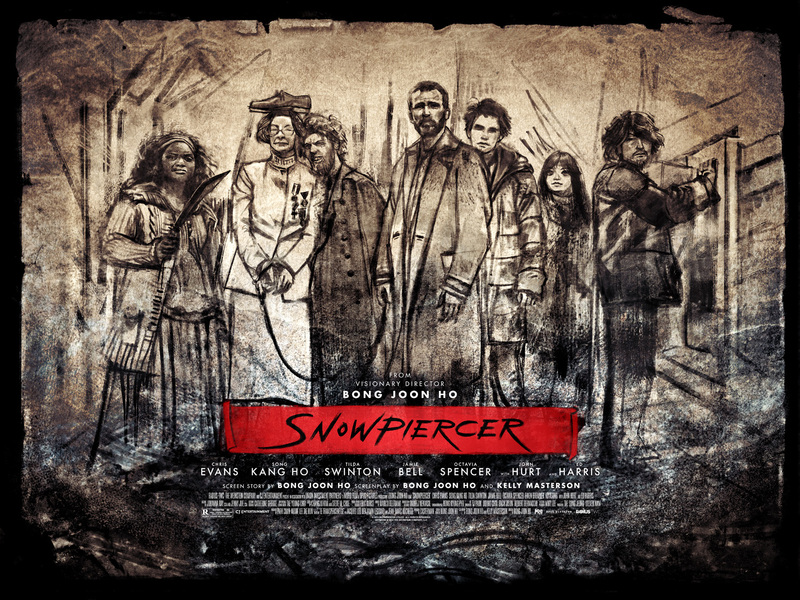 Alice X. Zhang's print for Bong Joon-ho's sci-fi Snowpiercer, released 2014 in the US, starring Chris Evans. 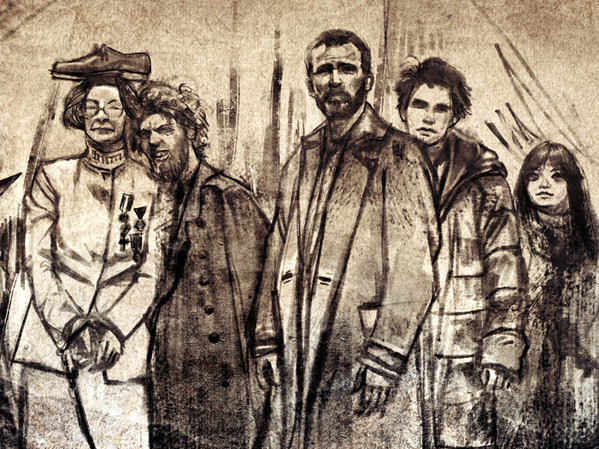 The art above is by the wonderfully talented pop culture illustrator, Alice X. Zhang. Most of the prints will be available at the convention and there is a high probability that they will all be signed by Alice, who will also be in attendance at the convention. Whatever prints aren’t sold will be placed in the shop online at fampart.com after the convention. Her art in this print for the sci-fi Snowpiercer is referencing the sketch done in the movie of the group, which is in turn a reference to the graphic novel that the movie is based on, Le Transperceneige. The 24"x18" print will be sold for $50 at NYCC, hand numbered edition of 150 pieces. FAMP Art will be at New York Comic-Con 2015 all weekend at booth #2366. The poster will go on sale on October 8th when the convention floor opens and will be sold throughout the weekend along with some current prints. FAMP Art founder Alex states, "After I had seen The Host and was blown away by Mother, it was clear from that get-go that I had to find a way to license a Bong Joon Ho film." As for the final results: "That image represents a turning point for the film making it perfectly suited to be refined and adjusted for a feature poster. We love the how the image came out and think Alice did a great job executing the idea." The shoe detail is great!! I thought you were being sarcastic, because nobody has feet in this picture....then I noticed the shoe on Tilda's head. Worst overrated movie I have seen in many years. I respect everyone's opinion, but for the life of me cannot understand how anyone could have enjoyed this movie.